Gloucester Arts on Main invites you to join them the 2nd Tuesday of March for a fun paint-in night taught by professional artist Renate Bumgarner. Renate brings over 50 years experience as a painter & teacher to help you create your own masterpiece and is an award-winning artist who studied art in Frankfurt and Wurzburg, Germany and at Thomas Nelson Community College. She works primarily in oil, watercolor and pastel. 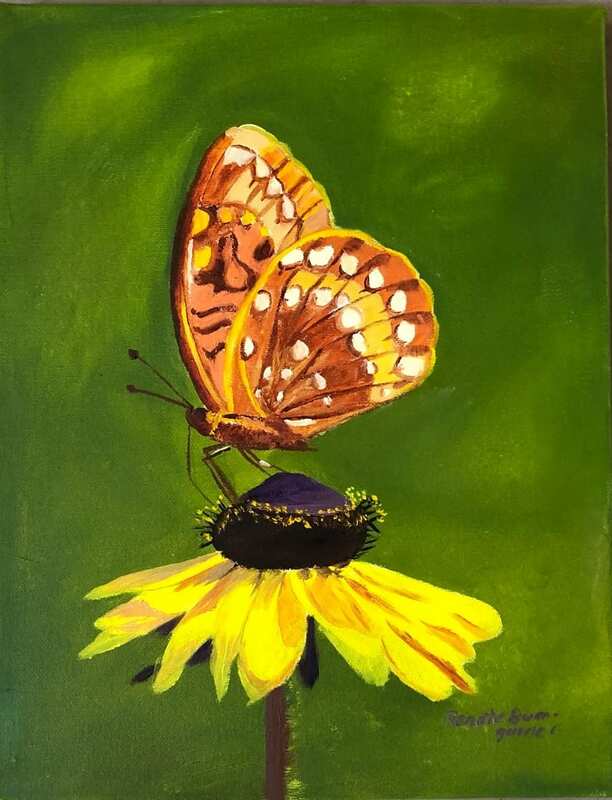 In March, Bumgarner will demonstrate how to paint a Fritallery butterfly perched upon a sunflower. Your fee includes all supplies, 2 adult drinks & refreshments. Please reserve your spot by 5pm the day prior by either clicking here or calling (804) 824-9464.